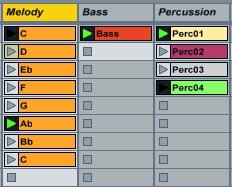 Ableton Live's Session View is a unique, non-linear environment for creating and playing music. Follow Actions - ways in which Live's Clips play and transition - can be customized in ways that allow for generative composition. In a new, two-part tutorial for MacProVideo, Rory Dow looks at how to do this. Check out part 1 and part 2 at MacProVideo's The Hub.